Are you new to triathlons or swimming in the open water? Are you unsure about making a triathlon wetsuit purchase just yet? You’ve come to the right place! As one of the largest online triathlon wetsuit retailers, Just Wetsuits is proud to announce we are now also the largest wetsuit rental company with our merger of Wetsuitrental.com into Just Wetsuits. 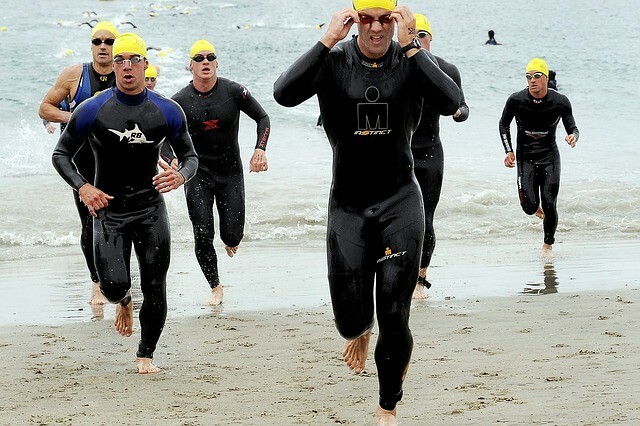 We provide athletes the most cost-effective way to try a Triathlon wetsuit. This rental program is a great way to test the waters in a wetsuit, without spending the big bucks. One of our top priorities is to make the triathlon wetsuit rental process as easy as possible. Our online wetsuit rental fleet consists of triathlon wetsuits from Blue70, 2XU, Orca, Zoot, Rocket Science Sports, Zone3, Aqua Sphere & Desoto. With so many wetsuits for rent, you are sure to find one you’ll fall in love with. As a bonus, we are not only an online wetsuit rental company…we also sell brand new wetsuits. Call us @ 360-297-1818 if you have questions or are looking for help finding the right suit for you! Our All-Inclusive Rental Program has no hidden fees and is the most cost-effective rental program in the country. We offer wetsuits for Adults for $65.00, Youth for $50.00 and Children for $35.00. $50.00 Credit toward the purchase of wetsuit? Yes, if you loved the rental wetsuit you can use a credit of $50.00* toward the purchase of that wetsuit. What if now that you’ve tested the waters and are hooked on racing, but you don’t want the particular wetsuit you rented? No problem! You can select a wetsuit at JustWetsuits.com and apply your $50.00 credit toward the purchase of a new wetsuit! Our Rental Time is the longest in the industry. We ship your wetsuit out two weeks before your event. This allows you time to try on your wetsuit, confirm the fit and get in a few practice swims before your event. Of course, we can only do this if you order your suit before the ship date. However if you forgot to order your suit or the temperature has changed, NO WORRIES!! We have you covered. We also offer overnight shipping!